Remarkable hospitality with that extra personal touch is our trademark. Know you are staying with a caring team whose priority is your utmost comfort. Our lobby with an abundance of bright, natural light and an inviting fireplace with a cozy sitting area create the perfect spot for relaxation and conversation. Our new open floor plan continues into the Hotel's new, on - trend, restaurant & bar call "The Hub", now known to be the center of all things social. Enjoy a refreshing cocktail, local craft beer, tasty appetizers, salads, sandwiches and Chef's nightly dinner specials in this innovative gathering spot. Remember The Hub" for hot, steamy coffee and breakfast in the morning too. All guests enjoy the convenience of Free hotel-wide Wi-Fi access and when you're ready for a work out, visit our Fitness Center Room or take a dip in our outdoor pool (seasonal). For your convenience, snacks and sundries are stocked in our Lobby pantry and available for purchase. Business guests will especially appreciate our on-site Business Center as it makes it easy to finish paperwork or prepare for the next day's meetings. 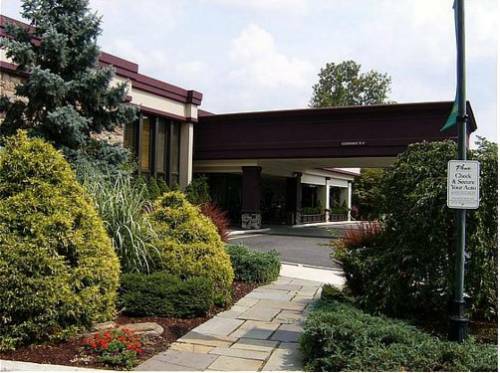 Proximity to local business, including IBM, PepsiCo and Northern Westchester Hospital amount other notable companies, ensures a convenient commute, as well With more time to explore, visit nearby Caramoor, Kykuit Gardens, John Jay Homestead and Harvest Moon Farm & Orchard. Doors open Monday through Friday at 4:00pm & Saturday & Sunday 's at Noon. Meet a friend in The Hub for cocktails and dinner . Coming soon.. brand new outdoor patio dining! Located off the Main Lobby with exterior lighting. ~18 miles from Mount Kisco. ~28 miles from Mount Kisco. ~25 miles from Mount Kisco.